The sofa has to be one of the most used pieces of furniture in a home. Whether you’re watching a family movie with the kids, or indulging in a deep and meaningful with someone special over a glass of wine, it’s likely that you’ll be curled on the couch. As winter rolls in and we start to spend more time indoors, a cosy sofa becomes even more appealing, making the new season the perfect time to revamp your living space. If you’re craving a new look, there are lots of simple things you can do to restyle your sofa. Bauhaus Interior Consultant, Karen Robinson shares her top tips for giving your sofa (and your living space) a style makeover. Rearranging your sofa and chairs is a quick and completely cost free way to completely change the look of the room, although obviously this isn’t an option if you are working with an L-shaped sofa. If your couch is plain you can afford to add colour and interest to the area by investing in an exciting, structural rug to place on the floor in front of your sofa. A bonus: a rug is absolutely delicious to help keep your toes warm as we head into the cooler seasons too. Change the texture and colour of your cushions to spruce things up in an instant. “I have pinks and greens for summer, with a little floral and a touch of jungle in the fabrics. My winter cushions are velvet and darker colours, and I even mix them for a trans-seasonal look. Use the same inners with different covers, then simply clean them and store them away when not in use,” suggests Karen. A touch of greenery not only brings colour and ‘life’ to a room, but a little lush foliage can soften corners and even make a room appear larger. They look particularly good placed beside or behind the sofa. If you have a small room, a mirror is a wonderful focal point that can make the room feel more spacious, especially if placed opposite a window to reflect the view outside. If you have a big “above the sofa” wall, don’t make the mistake of thinking too small with your decor. Fill the wall behind the sofa with artwork that reaches almost to the ceiling so that it becomes the centerpiece of the room. If you have a lot of smaller art or photographs, a big collection can pack a visual punch. You can mismatch the frames and styles, or go for a more cohesive finish using the same frames and prints from the same book of art. Don’t underestimate how important lighting is to a room. “By changing the lights you can completely change the tone of the room, add extra lighting and visual interest. Add a lamp to the table beside the sofa to illuminate a reading space, or use a large lamp beside the sofa to create a more interesting space,” suggests Karen. If you’re working with a small space, an ottoman or two is a great investment as they can easily be moved around the room to provide additional seating when you’re entertaining guests, or placed in corners when you want additional space. Some even have storage space inside. “A look that is currently on trend is to use an ottoman as a coffee table. If the ottoman has a soft, upholstered surface, a sturdy tray can be used to display your flowers, plants, books, candles - et voila… coffee table,” enthuses Karen. If you’re in the market for a new couch, consider a more sustainable investment that will really last the distance. 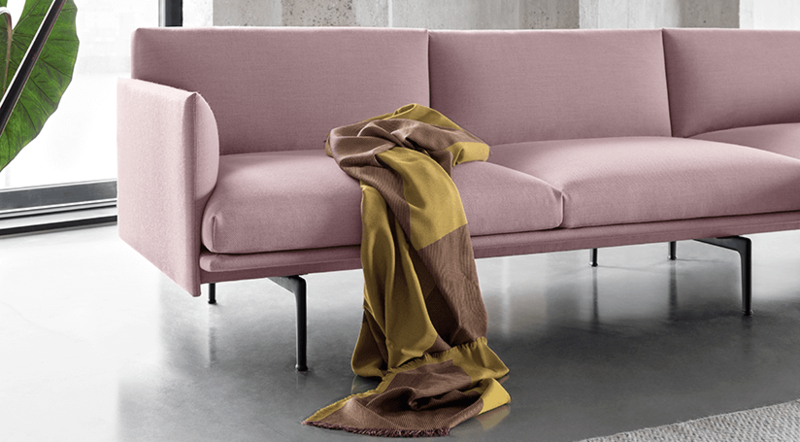 Bauhaus is proud to stock premium quality Camerich sofas, which come with fabric covers that are attached using velcro so they can easily be removed. Karen says removable covers give you a couple of options. “If you want a new look for your home you can order a replacement cover, or if sticky little fingers and muddy paws have dirtied your precious sofa, they can easily be removed and dry-cleaned,” she explains. As prevention is always better than the cure, Bauhaus can also apply stain guard to the fabric, ensuring that most everyday marks can be removed easily. If you're ready for a completely new look, check out our handy guide to "buying the perfect sofa"